Finding the right person to fit in with the culture at your organization is critical. You can train most people for the skill set you are looking for, but to help with turnover, fit is an important contemplation, specifically when looking at the bottom line. The cost to rehire and train someone can be thousands of dollars when you consider the time it takes to screen resumes, advertise the position, conduct interviews and provide training. It is likely that your park and recreation department may be in the midst of hiring for seasonal employees and even interns. Use these 5 tips to attract the right people and make a more efficient use of your time. 1. Out with the old, in with the new. It happens a lot when a position becomes open that you finally see that the job description hasn’t changed in 10 years. With the click of a button, the position is just reposted from the last vacancy to fill that role and it gets stale. Did those duties not change in 10 years? Do you need something different out of that role? Be sure to take the time and really think about what you can do to update the posting. This will allow you to reach the right candidates. Same goes for seasonal positions as well. Make sure you have the phrases or tags that reflect what the position entails. 2. Use the NRPA Career Center to advertise your position. Once you have all of the details of the position ready to go, add your listing to the NRPA Career Center. Packages start at $99 and each posting receives an average of 1,000 views. 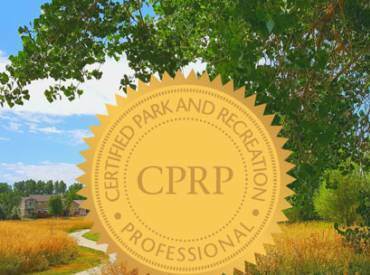 You have a nationwide reach to park and recreation professionals and it is one of the most highly visited sections of the NRPA website. The system can easily manage applications, search resumes and there is a list of employer resources provided. Need help with interview questions, job descriptions or background screening services? Visit the Career Center it is all there to help you get started. 3. Try to limit the number of times you bring people in. At NRPA we recognize that our time cannot be spent on three rounds of live interviews so we use a panel style interview to get different perspectives on candidates. You can bring in different people to sit on the panel as well as people that will work with the role in some capacity. Think about if this style of interview would work well for your organization; we really like this option and it helps us be more efficient in the process so we aren’t missing out on those great candidates. 4. Value cultural fit over skill set. You want someone that will be able to get how things operate at your organization. There will be some gaps no matter how experienced someone is when they come into a new job. Personality quirks are hard to change, but you can help someone with a skill set problem and build on their strengths. If an employee feels that their work is meaningful and aligns with the mission there is less of a chance that they will walk away. You also want to be careful about hiring someone who could be too similar and not challenge the department to do better. How boring! Having a diverse staff with people that think independently from one another is essential to move forward. 5. Follow up with candidates. Good or bad, people do not like to feel like they have been forgotten about. Sometimes it is hard when you have over 200 applications for a position, but the candidates you are serious about deserve a little more. For one reason or another, the number two candidate was just that, and they barely missed out on getting the offer. Many times we like to keep them in mind for future opportunities and vice versa. If someone had to turn down an offer, they could come back to you first when they are back in the market to let you know they are available. Keep that connection open. Many times people will still be interested in your organization even if they did not receive an offer. 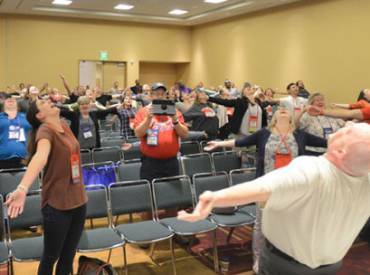 Does your agency have any tips for recruiting efforts? What has worked, what hasn’t worked for you? 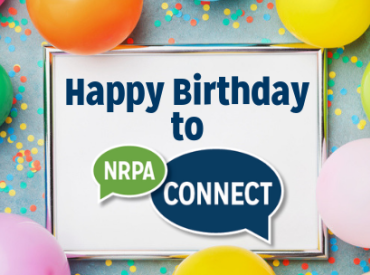 Share with us below in the comments or on Twitter @NRPA_news. Martin Dease, is the Human Resources Manager at National Recreation and Park Association.